Kristy LaPointe knew she was going to be an actor when she was 5 years old. What a lunatic. After a childhood performing terrible musical theatre and attending a two year Meisner conservatory, Kristy somehow still doesn't hate acting. Now doing a lot in the comedy world, Kristy is still pretty okay at normal acting too. Put her in your dumb short film, okay? Here's her resume if you need it. And her IMDB if you're like, soooo bored. Kristy play Pepper LaCroy, a superhero working through her burnout issues with her therapist/watcher Dr. Celeste Santos, played by the brilliant Ann Pornel. Kristy plays Olivia, a frustrated actress willing to do whatever it takes to eliminate her competition. Official selection of the Bloody Mary Film Festival. 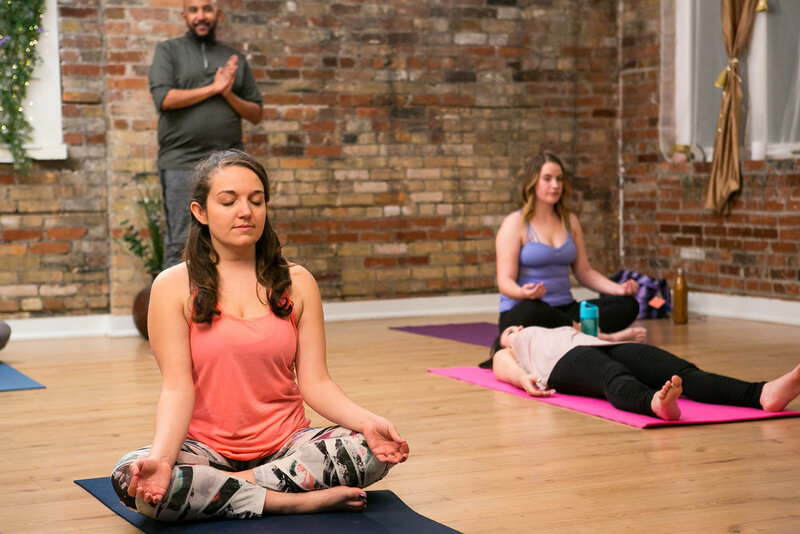 Kristy plays Juniper, a yogi at a modern downtown studio in this series she based on her time as a real yoga instructor in Toronto. Kristy is Melissa, a hapless social media manager who hires a gaggle of unpaid interns to do all of her work for her. A digital series about clueless bosses and the sweet baby angels who do all their work for them. Or something. Kristy was asked to do this invite-only class, using Meisner training to work through various texts including The Days Of Wine and Roses. Kristy stars as Rory Gilmore in the Hot Cousin produced monthly show where they improvise a new episode of Gilmore Girls. The Toronto star thinks it's pretty cool. Kristy plays a maniacal millionaire soap opera character on this show-within-a-show. Like framed for her husband's murder and back for revenge manical. It's awesome. Directed by Cindy Christensen, as part of a Meisner Masterclass, this Shanley Extravaganza happened in late November, where Kristy tackled the role of Judy in the one act Last Night In The Garden I Saw You. Kristy cried and swore and stuff. Oooooh, how gritty. Kristy's first foray into the Toronto Fringe Festival was in the capable hands of her friend Trevor Poleman, who's awarding winning script was written for her. Like...her character was literally named "Christie". NOW Magazine gave the show 4 N's and singled Kristy out, stating "Kristy LaPointe's natural delivery as level-headed sister Christie is a highlight." Score. Kristy's latest screen time comes as a territorial bachelorette, Holly, who is then turned into a raptor in an extremely bizarre episode of The Party Show, directed by AJ Vaage. She'll be back on that show if it becomes a bigger show or something. Probably. Kristy's turn as Harry Potter aka "the boy who lived" in this film adaptation of the hit children's book series was beloved by audiences and critics alike and launched her film career and it's NOT just because her mom was the casting director or whatever.